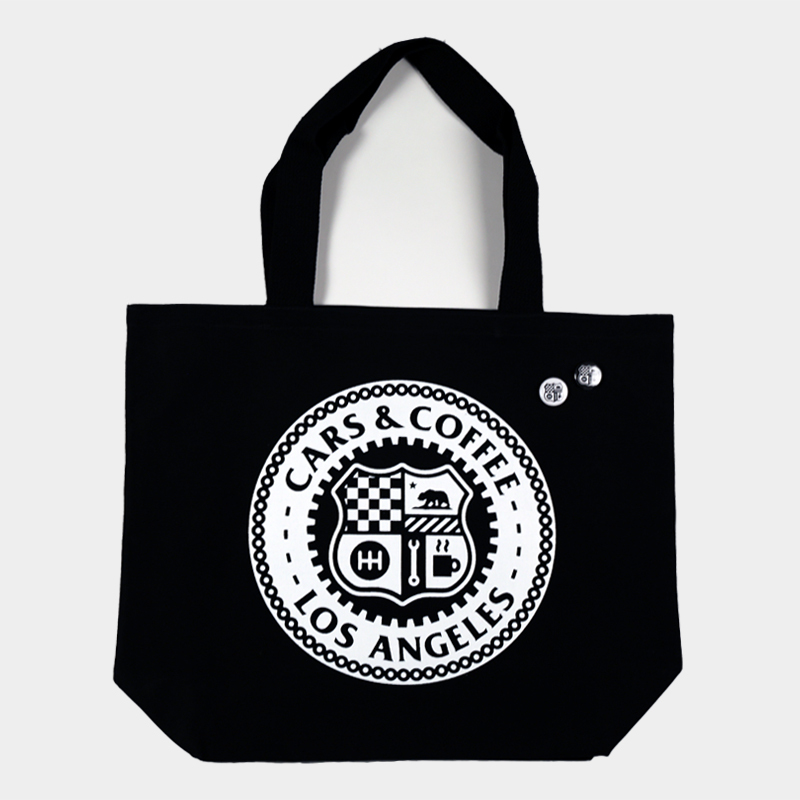 The ‘CCLA City Seal’ tote bag is a unique homage to the iconic City of Los Angeles seal, featuring plenty of automotive references and California iconography. 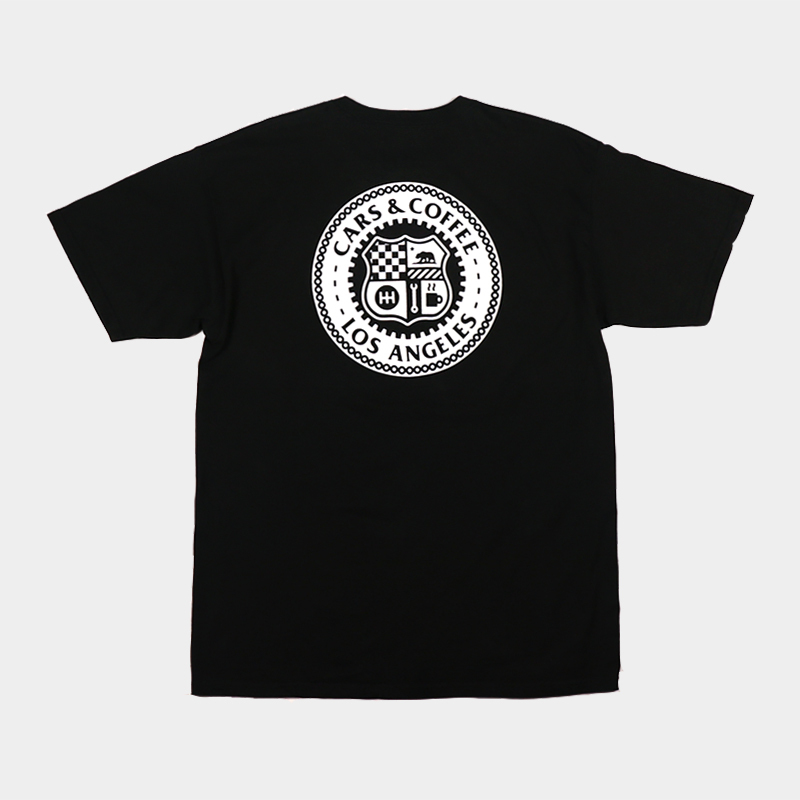 Designed and produced in Los Angeles exclusively by P1 Brand for Cars & Coffee Los Angeles. 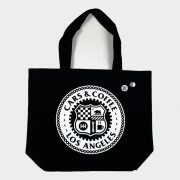 Tote bag constructed of premium grade, 10 ounce, black cotton canvas supported by sturdy, 1.5″ cotton webbing for handles. Double stitching across the top edge of the bag ensures long-lasting strength and durability. One piece, satchel bottom construction. Overall tote bag measurements are 18″ wide, 15″ high with a 5″ gusset. Manufactured, designed, and produced in the USA.